The cozy tasting room at Winery at Kindred Point features two fireplaces: a wood fire burning and a gas fire burning. You'll enjoy comfortable seating of leather sofas and padded chairs. 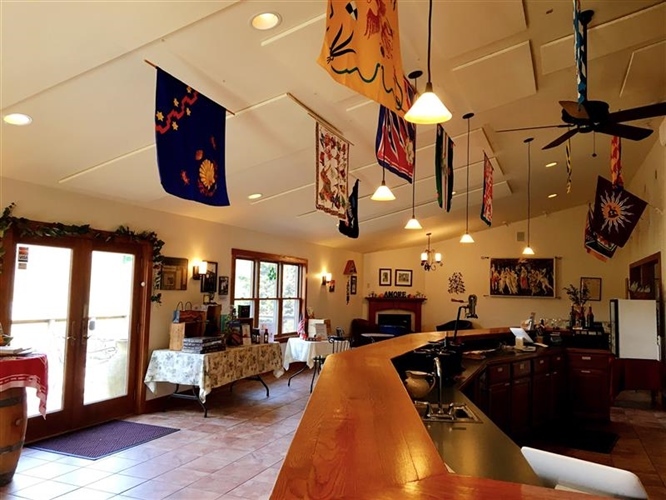 The tasting room is in a renovated horse barn so the feel of warm wood siding surrounds you on all the walls. They don't allow pets in the tasting room except for the winery dog Oscar. He gets to enjoy the gas fireplace after hours. Bluestone Vineyard as just completd a new tasting room. The large space features a fireplace surrounded by comfy sofas which are perfect for the upcoming winter season. The new space also has an abundance of indoor seating for you to enjoy. Invite your friends, bring some food, and catch up on life over a bottle of wine. On the slightly warmer days you can enjoy the heat lamps, fire pits, and outdoor fireplace. Walk just a few steps into the tasting room and you can feel the Barren Ridge difference. It’s relaxed. It’s a place you want to spend time with friends and family. Relax, eat together and enjoy the wine. The transformed apple packing barn makes for a rustic and cozy tasting room features the original ceiling and a large stone wood-burning fireplace. The bar is made of reclaimed wood from the original barn. It’s a winery where even people who are unfamiliar with the place feel at ease and a sense of warmth. Desert Rose’s Tasting Room exudes a warm and cozy environment for those who venture in, to sit back and relax. During the colder days of the year this warm atmosphere is even stronger because of the stone fireplace that stays lit. 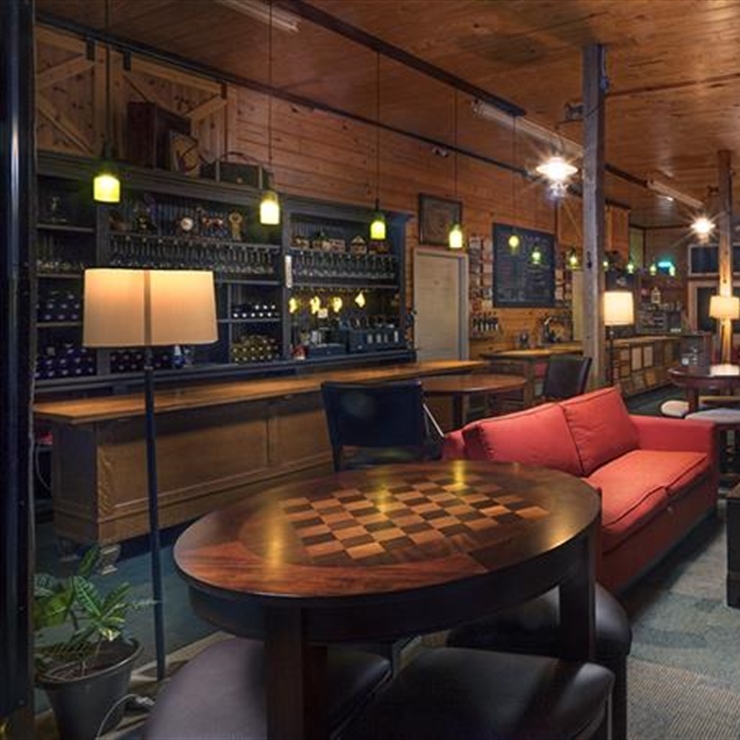 Creating a cozy, inviting tasting room is more than just a place to sit and relax with friends. It’s the staff and how they greet you when you visit. It’s the feeling you have as soon as they walk into the tasting room, up until you leave. Not to mention, the owners of Desert Rose Ranch & Winery, Bob and Linda, will make you feel right at home. The large fireplace that keeps the tasting room nice and toasty is just plus that adds to our overall “warm” and welcoming atmosphere, a perfect spot to hang out at with friends in the winter. 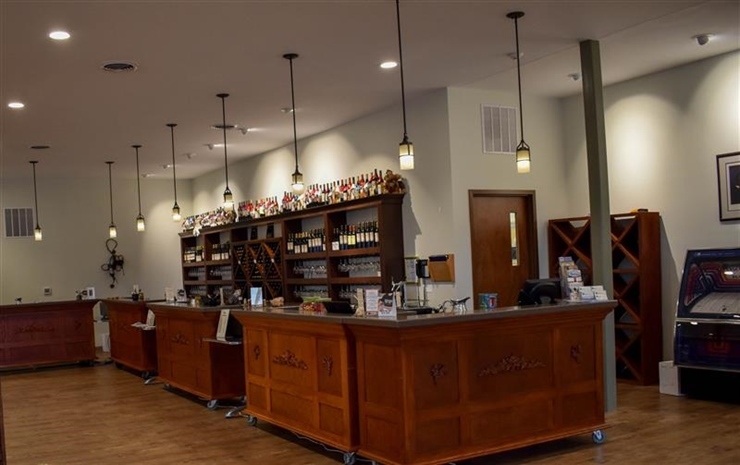 Escape cold winter temperatures at Gadino Cellars. 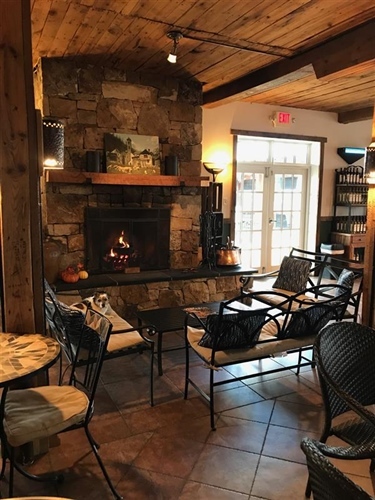 Explore the full tasting menu at the bar or warm up with a glass of wine by the fireplace and enjoy beautiful views of the vineyard and the Rappahannock countryside. There is something for everyone, including four-legged guests on leashes and children. So stop hibernating, shake off those winter blahs and get out and enjoy Virginia wine country.